What Is the Percentage of a Large and Small Cap in the Total Stock Index? A total stock market index tracks the share price values of all of the stocks listed on the U.S. stock exchanges. The index is a representation of the total value of the U.S. stock market. The Wilshire 5000 total market index includes stocks of all valuations from the largest large caps to the smallest small caps. Although new companies are listed on stock exchanges regularly, there are typically significantly more small-cap stocks than large-cap stocks available for investors. Generally speaking, there are more than twice as many small-cap stocks available than large-cap. A handful of different stock indexes can be classified as total stock market indexes. 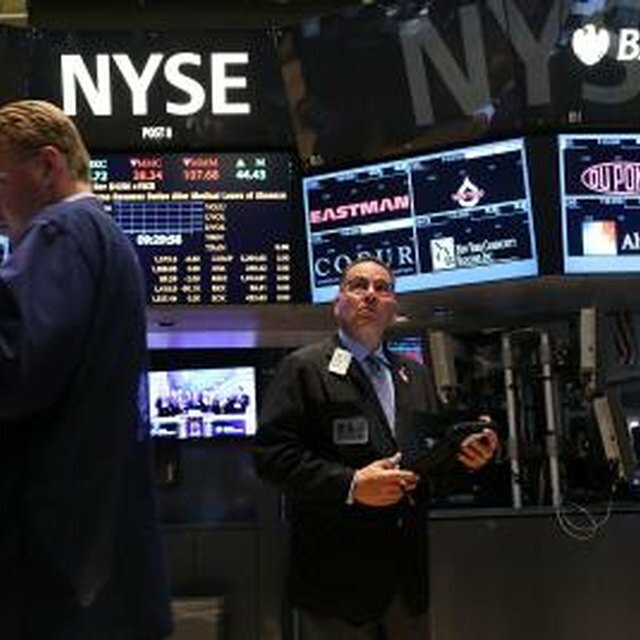 Included in the group would be the Russell 3000, the MSCI U.S. Broad Market Index and the Dow Jones U.S. Total Stock Market Index. These stock market indexes track 3,000 to 3,800 stock prices. The Wilshire 5000 index provides some of the broadest stock market coverage, tracking more than 6,700 stocks from the largest, most valuable large capitalization companies down to very small micro-cap stocks. The Wilshire 5000 total stock index market cap weighted. Market capitalization is the stock market value of a company, meaning the total value of all shares available to be traded through the stock market. A weighted index gives more value in the index to larger companies with higher capitalization than to smaller companies with less. In total market indexes, the market caps range from more than $800 billion down to less than $1 million. This means the largest company has more than 800,000 times the weighting factor as the smallest company in one of these indexes. Different stock tracking companies define the cutoff between large-cap and small-cap companies at different market capitalizations. The Wilshire Associates website states the Wilshire 5000 index includes 747 large-cap stocks, the next 1,737 stocks are small cap, and the balance consist of micro-cap stocks. The Wilshire Associates do not use a mid-cap classification. Using these numbers, the large-cap stocks make up 15 percent of the companies in the index. Small-cap companies comprise about 35 percent of the stocks. How Is a Market Index Calculated? What Is a Large Cap Stock? Although there are more small-cap stocks in the total market index, the large-cap companies, with their higher individual values, make up the majority of the Wilshire 5000's total index value. Wilshire states the 747 large cap stocks comprise more than 91 percent of the Wilshire 5000 index value. The next 1,737 small-cap stocks are worth about9 percent. The remaining roughly 2,500 micro-cap stocks are, despite being numerous, collectively worth less than 1 percent of the stock market value tracked by the index.